Gertrude DOXEY nee LONGDEN c1895. 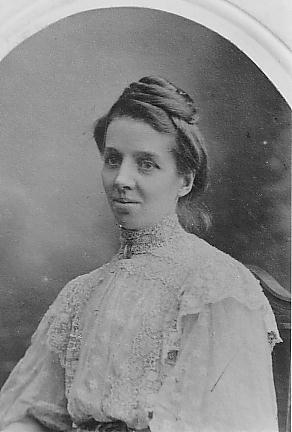 Gertrude Longden of Sheffield married Alfred Doxey of Matlock at Ecclesall. She was the author's grandmother. Gertrude was very short and always dressed in Victorian fashion, with a fox-skin round her neck. She worried about money and cooking made her bad-tempered. She died at 77.